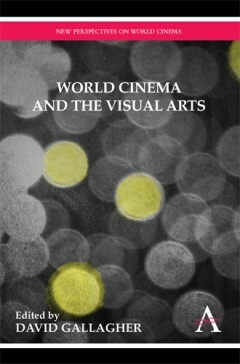 ‘World Cinema and the Visual Arts’ combines new analyses of two subjects of ongoing research in the field of humanities: cinema and the visual arts. The films analysed encompass a wide geographical base, and have been drawn from a diverse array of cultural traditions. This volume of essays combines new analyses of two subjects of ongoing research in the field of humanities: cinema and the visual arts. Originally presented at the American Comparative Literature Association Conference 2010 in New Orleans, these collected papers have been expanded and extended from their original points of enquiry, and analyse films from the diverse cultural traditions of China, Germany, the United Kingdom, America, Northern Ireland and India. Subjects of examination include China’s ‘Shanghai Express’ and ‘The Goddess’, Fritz Lang’s ‘M’, and two films from the James Bond franchise, ‘Diamonds Are Forever’ and ‘Casino Royale’. Other areas of investigation include films focusing on Northern Ireland, the depiction of the Indian film industry through Indian writers, and Hong Kong and East Asian cinema. The focus of the volume then switches to the visual arts, with an explanation of how the classificatory order for the visual arts and art history has long been rigorous in its demand for juxtapositions and comparisons, followed by an examination of modernist abstract art with a specific analysis of the importance of Gertrude Stein’s still-lifes in ‘Tender Buttons’. Manuel Rivas’ use of cross-cultural textualization in ‘Mujer en el baño’ is explored using the concepts of montage and Benjamin’s dialectical image. Lastly Kara Walker’s controversial art that highlights racial pictography and violent imagery from the antebellum American South comes under close scrutiny. David Gallagher is the German subfield editor for the ‘Eighteenth Century Current Bibliography’.